The Bruce booster rods were designed to extend the window of the period shut before the Xenon poison prevented reactor startup. They were manufactured from enriched uranium Zircaloy alloy which was co-extruded with Zircaloy. 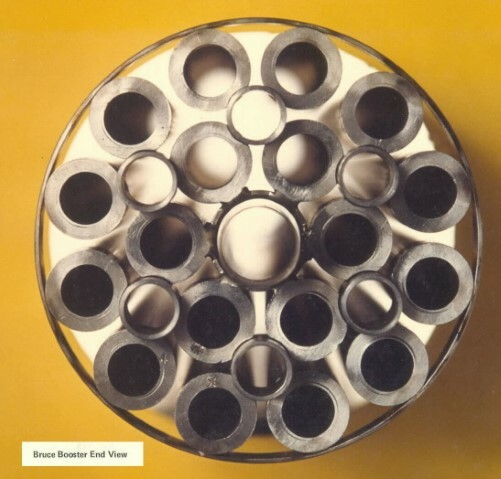 The six 18 element bundles in an assembly was held together by ferrules and belly bands and strung together on a central structural tube. They had limited use in Bruce and were withdrawn from service.